A trifecta of fires has destroyed homes and barns all across the sunshine state. The Camp Fire, Woolsey Fire, and Hill Fire have burned hundreds of thousands of acres. Demolishing more than 10,000 structures and claiming, at last count, 59 lives. It can be hard to sit at home watching the destruction and feel helpless. If you have been following these fires, and other equestrians and horse lovers on social media, you have probably seen the calls for help. It starts with evacuation. 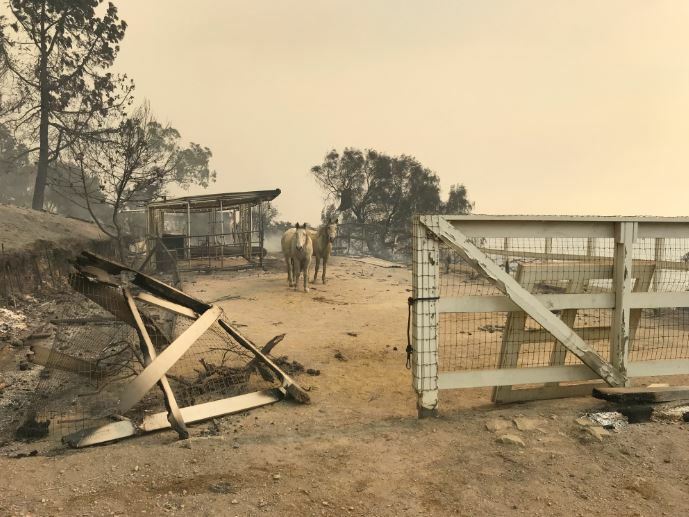 California residents seeking trailer rides and barns to take their beloved horses with them when the mandatory evacuation hits. 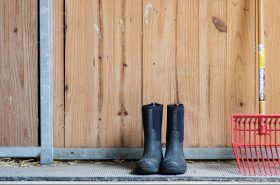 While many people do not live in a proximity to these fires to offer trailers or open their barns to displaced equines, below you will find a list of ways you can help! Every little bit counts! The Los Angeles County Animal Care Foundation – They are providing trailers and temporary shelters for pets whose owners have been evacuated. Pasadena Humane Society – The PHS has been evacuating and sheltering animals since the start of these fires. And thanks to a generous gift from the Elizabeth Falk Foundation, your donation is matched up to $3000! The Human Society of Ventura County – The HSVC is accepting donations for a general fund to best serve the animals that have been left in their care. They anticipate gaining more evacuee animals as the days wane on. Funds will also support long term care. There are also groups of notable equestrians and friends of horses hosting their own Go Fund Me pages. 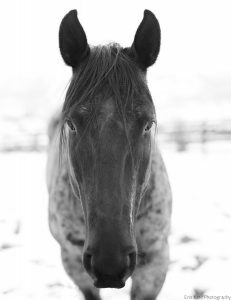 These Go Fund Me pages have seen an outpouring of support and will go directly to evacuees and their equine partners. The East Coast Equestrian CA Wildfire Relief Fundraiser – Hosted by the East Coast Equestrian, City Girl Equestrian, and the Hunt Seat Paper Co. Funds from this Go Fund Me page will support the American Association of Equine Practitioners Foundation and the Equine Disaster Relief Fund. 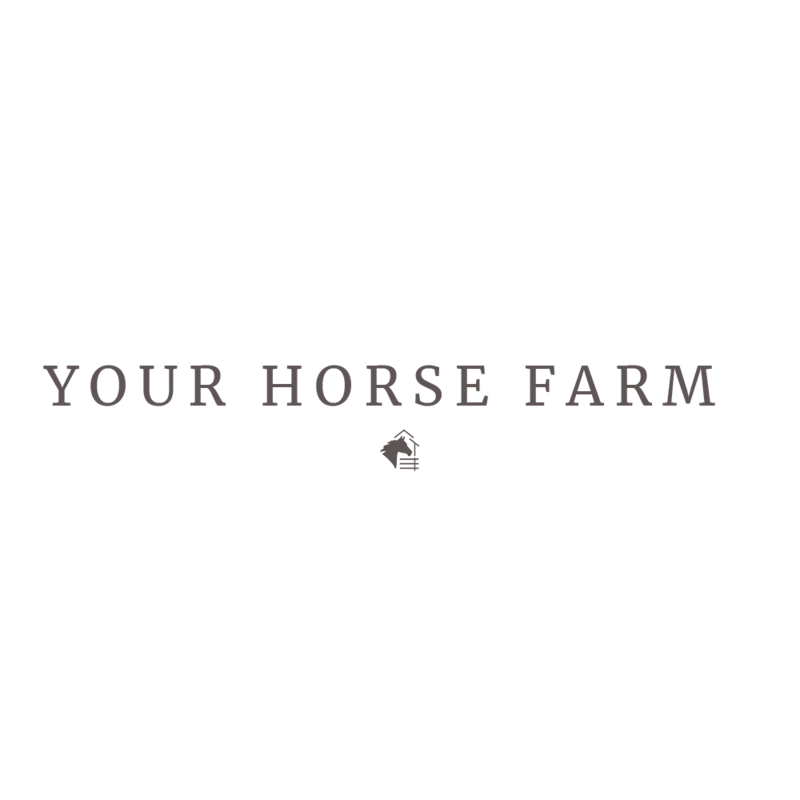 The Woolsey Fire Horse Rescue – Sami Gros, CEO if Tail Lights Inc., has been working around the clock to find horses and other livestock that were let loose from their stables and paddocks as a last resort to escape the fires. Tail Lights Inc and its supporters have been making runs to find loose animals take them to safety. This fundraiser allows them to relocate lost animals and pay for the supplies and feed they need until their owners can be found. 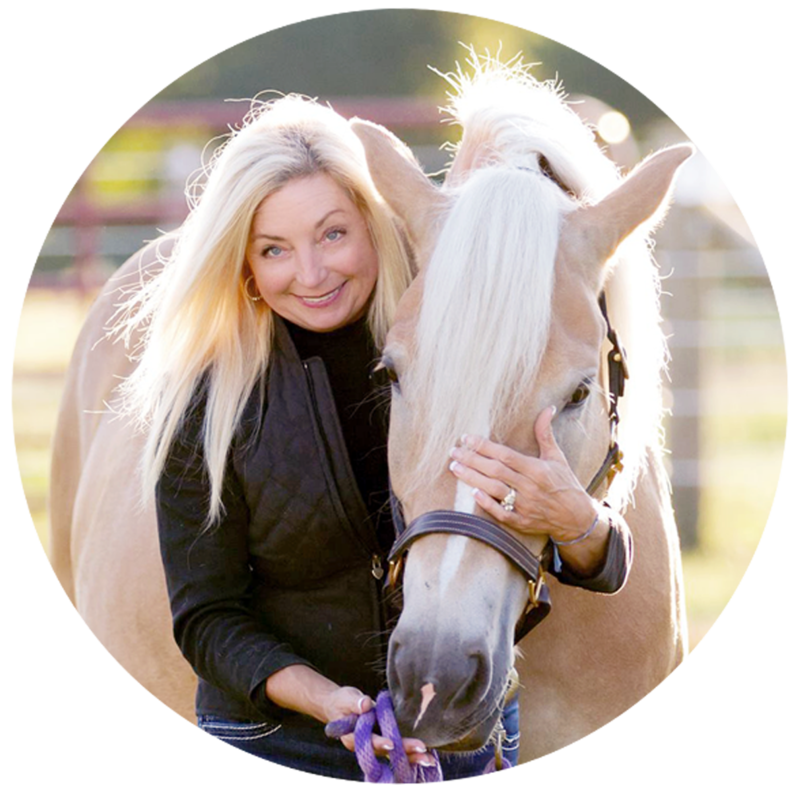 **Julie Schmitt, owner of the Mod Equestrian Mobile Boutique located in Cleveland, OH. Mod Equestrian specializes in modern, city-to-show ring styles for life in and out of the saddle. The mobile shop opened in 2015 and travels to shows and other equestrian events throughout Ohio. I have been riding since I was 7 years old and grew up showing in the Hunter ring. I did not get my first horse until after college. Grady came from the retired racehorse rescue CANTER. We showed in the hunter ring and did some dressage before Grady retired. I bought my new thoroughbred, Roman last summer and we are training to ride in the Jumper ring. I live in Lakewood with my husband Justin and our two cats.